Bristol businesses could get a grant of up to £3,000 to get gigabit-ready broadband as part of a new Government pilot scheme. Suppliers are now offering vouchers worth between £500 and £3000 to Bristol-based SMEs towards the installation cost. future proofing – making sure that businesses have the technology in place to deal with the ever increasing demands for internet speed and connectivity. To see if your business or organisation could benefit from the scheme, the first step is to find a registered supplier. Find a supplier registered on the scheme. There is no application process to complete, if a registered supplier can provide a gigabit capable connection to your business premises they will offer the voucher as a discount towards the installation costs. More details about the scheme can be found on the main web pages for the scheme. Find out more about the Gigabit Voucher Scheme. 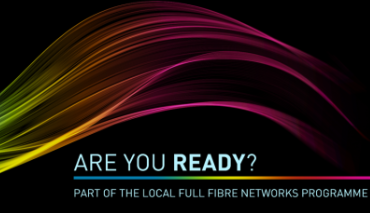 The aim of this Government pilot is to encourage the market to extend full fibre infrastructure in the UK by increasing demand and reducing the cost to customers. Funding from the trial is limited, so businesses are encouraged to contact a supplier as soon as possible!